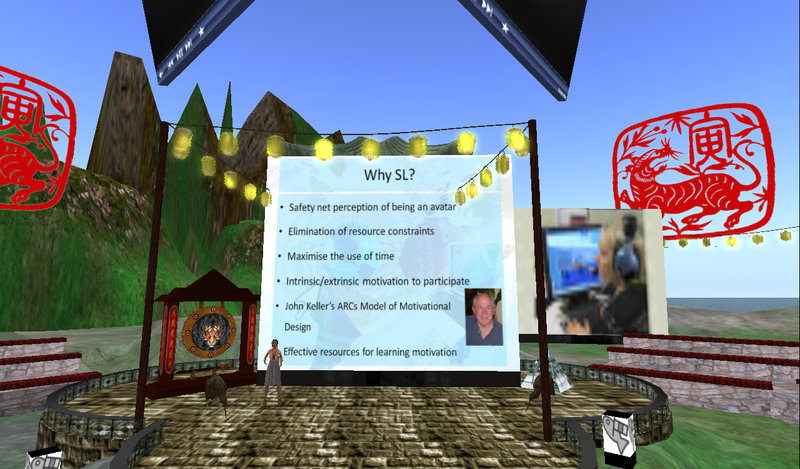 On March 12th and 13th I participated in the 3rd Annual Virtual Worlds Best Practice in Education conference – a 48 hrs. around the clock/world event mainly taking place in Second Life (SL). The goal of the conference was “to bring together educators, researchers, academics, and business professionals from around the world with a focus on 3D virtual collaborative environments and how they can best be used to support education” and according to the official website there were 170+ presentations/sessions. 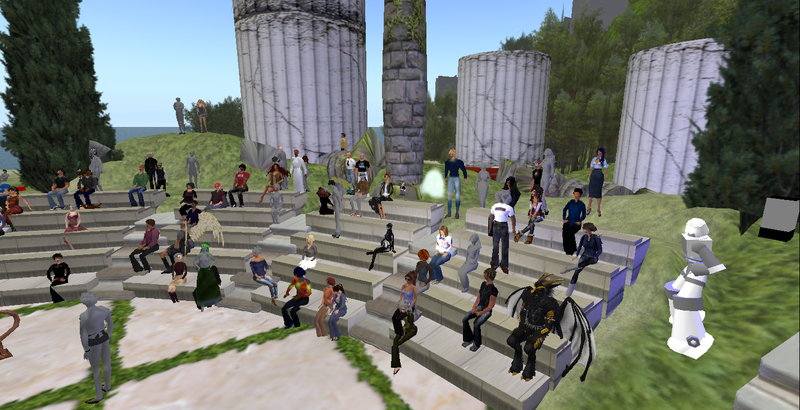 The first session I attended was a presentation by Briarmelle Quintessa; “Building the foundation for Second Life learning in New Zealand”. Briarmelle spoke about a pilot project on Foundation Learning conducted as part of the Second Life in New Zealand (SLENZ) project where the main goal was to show “the educational strengths or otherwise” of using a virtual world as means for students to practice interview skills, and according to Briarmelle students who used SL as compared to those who didn’t ended up with better assessments as shown in the slide below. In designing their in-world environment, Briarmelle and her colleagues had been inspired by John Keller’s ARCS Model of Motivational Design, which addresses attention, relevance, confidence and satisfaction. Log-in to Koru Island and explore this and many other designs for teaching and learning. UPDATE: on March 16th the SLENZ Project’s Lead Developer Isa Goodman announced that a free copy of the Foundation Build is now available on the neighbouring Kowhai Island under a Creative Commons Attribution-Share Alike license, and a new SLENZ blog has been created for discussions on technical issues and further developments. Next up was Logos Sohl who spoke about “Enablers and inhibitors of innovation and creativity in virtual world educational projects”. [4:57] Hotaling: New Zealand, here. [4:57] Kayo: Oklahoma [4:57] Wozniak: Orlando, FL [4:57] Mills: Denmark [4:57] Flatley: Newfoundland, Canada [4:57] Jenvieve: UK, England [4:57] Darbyshire shouts: NY [4:57] Congrejo: lol Euro [4:57] Neximus: Germany [4:57] Lowtide: UK atm [4:57] Halostar: Germany [4:57] Baroque: Syracuse, NY [4:57] Congrejo: Texas [4:57] Jameson: i am in usa, i live in germany [4:57] Alchemi: Leicester, UK [4:57] Blogger: Belgium [4:57] Camel: UK (devon) [4:57] Bookmite: Georgia, the state [4:57] Tigerfish: Indiana [4:57] Hubbenfluff: Pennsylvania [4:57] Frequency: i’m from singapore [4:57] Lexenstar: West Virginia, USA [4:57] Inventor: Czech rep., Europe :) [4:58] Bramlington: Sweden. After a break, I returned in-world to my 3rd session, which was on “Networked Connectivism, Distributed cognition and PLNS”. In this session hosted by Michigan Paule, Labatt Pawpaw (one of the founders of Connectivism) gave his thoughts on connectivism, learning and the pedagogical foundations that the technology provides.. Before the session started slides showed nicely on my screen, but during the session my computer started acting up and I ended up logging out due to lag. Labatt later posted an audio of his talk. For those interested it is possible to hear (and see!) M’s talk here on BusinessTreetTV, where other sessions also will be archived. I finished this first conference day by participating in Claudia Linden’s session on “Educational trends in Second Life”. and not least [13:20] Tuque, who so eloquently summed up my first day impressions and the main reason why I enjoy SL so much: I guess that is MY Aha moment – when I realized I could meet, learn from, and work with colleagues from ALL over the world.